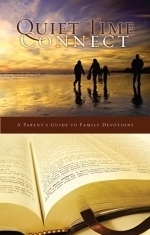 "How do I lead family devotions? How can I make family devotions exciting? How do the Word of Life Quiet Times connect for each family member?" These are just a few of the questions that motivated Mike Calhoun to write this booklet, Quiet Time Connect.